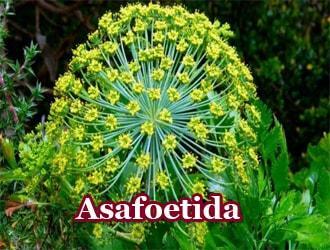 Asafoetida is a plant species with a long-established history known for many years by the people of Anatolia. This plant, whose Latin name is ferula, is widely used among the public. Asafoetida is also used as raw material of many drugs due to some active raw material content. In addition to the use of the plant for humans, it is also a very important food source for animals. It is a kind of herbaceous plant that continues to exist for many years. The plant does not give seeds in the early years, and then it begins to give seeds in the later years. If the plant is consumed too much, it can cause more harm than good. When the plant is not male or female, this plant is named as a male by the people during the growing of the seeds. What Are The Benefits Of Asafoetida ? • With its powerful aphrodisiac effect, this herb increases sexual power. For those who suffer from sexual difficulties, they should be consumed regularly. • It is a plant that should be used by those who can not have children due to the low number of sperm and poor quality. 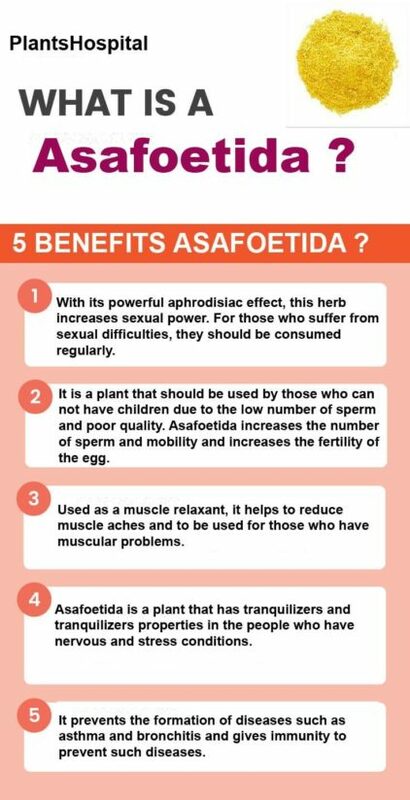 Asafoetida increases the number of sperm and mobility and increases the fertility of the egg. • Used as a muscle relaxant, it helps to reduce muscle aches and to be used for those who have muscular problems. • Asafoetida has the ability to improve the nervous system. • Asafoetida is a plant that has tranquilizers and tranquilizers properties in the people who have nervous and stress conditions. • It is very useful for those who have problems in the digestive system. People who suffer from constipation frequently should use asafoetida at regular intervals, in this case helps to relieve the digestive system. • It prevents the formation of diseases such as asthma and bronchitis and gives immunity to prevent such diseases. • Fatigue and fatigue is a kind of plant that should be used in people who live because it helps to lift fatigue by giving strength and fitness. • According to some reports, the use of poppy plants increases the likelihood of having twin children, but this is not based on any scientific explanation. 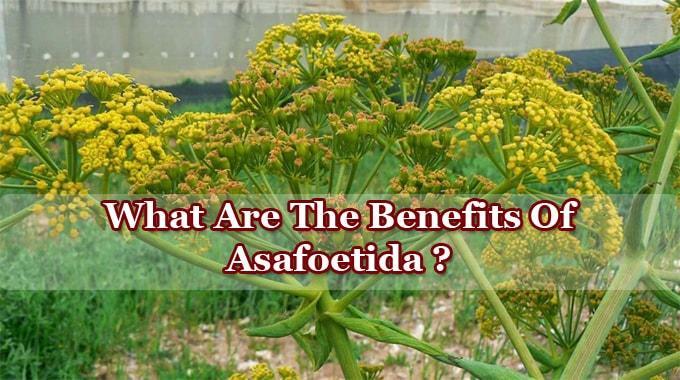 • Asafoetida prevents circulatory system diseases by increasing blood circulation. • Asafoetida can be consumed once a day, by making it into putty by mixing it with sweet honey. • In some cases, asafoetida is drunk by brewing. Add a few drops of lemon juice to the mixture. What Are The Damages Of Asafoetida? • Using wrong amount of asafoetida, is causing nervousness. • Because of use excessive of asafoetida is begins seen symptoms of depression.